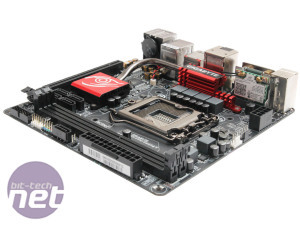 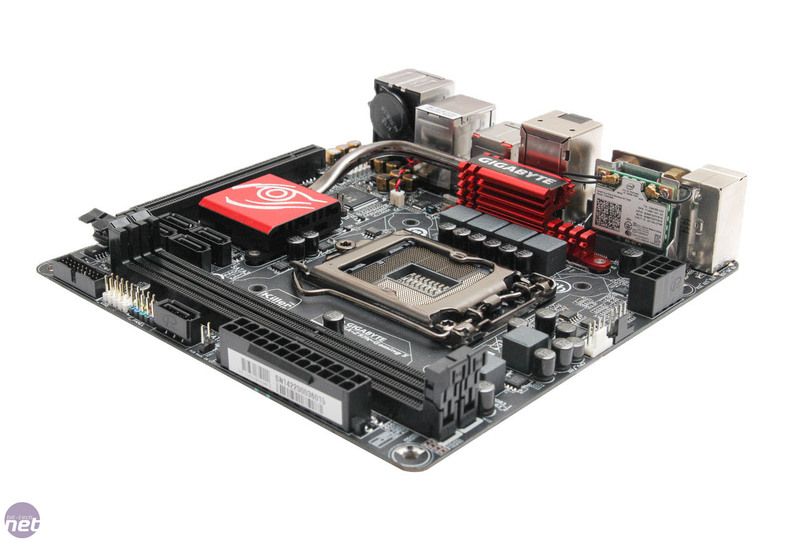 The mini-ITX enthusiast scene has never been as crowded as it has with Intel's Z97 chipset. 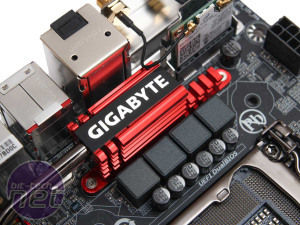 For us, this is great news as it means there's lots of competition and today we're looking at Gigabyte's premium mini-ITX offering, the GA-Z97N-Gaming 5. 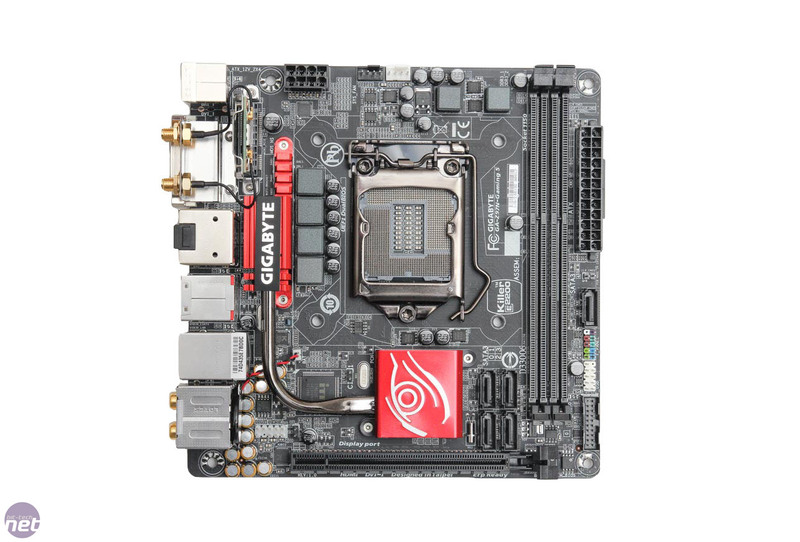 It's the first Z97 mini-ITX board we've looked at (don't worry, plenty more are waiting in the wings) and Gigabyte has set the price at £116. 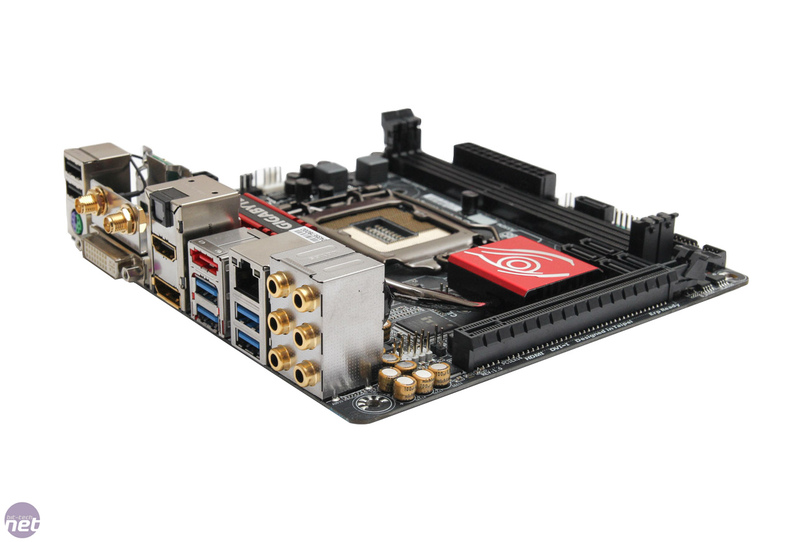 This is quite modest compared to many Z77 and Z87 prices but Asus, ASRock and even Gigabyte itself have cheaper Z97 models. 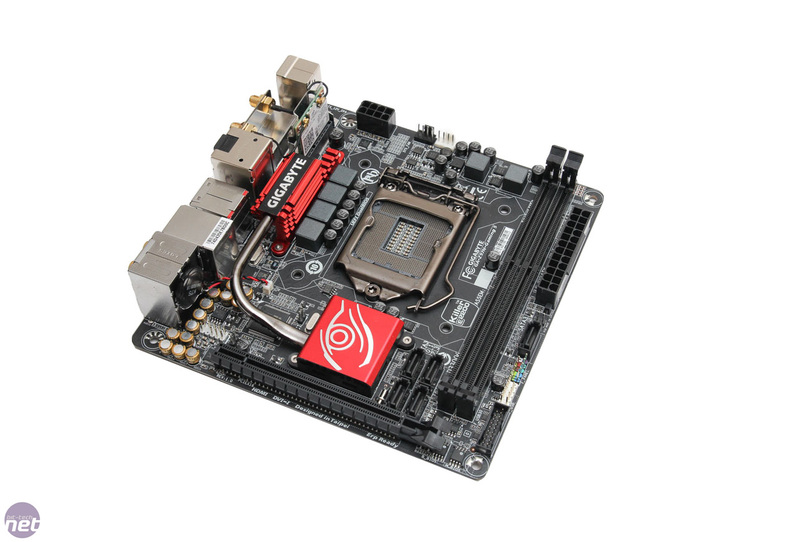 So, given that most people in the sub £130 price bracket for enthusiast motherboards are perhaps more value conscious than those that will drop the inevitable hefty price tag for Asus' Maximus VII Impact when it arrives, what does the GA-Z97N-Gaming 5 offer compared to its cheaper siblings? 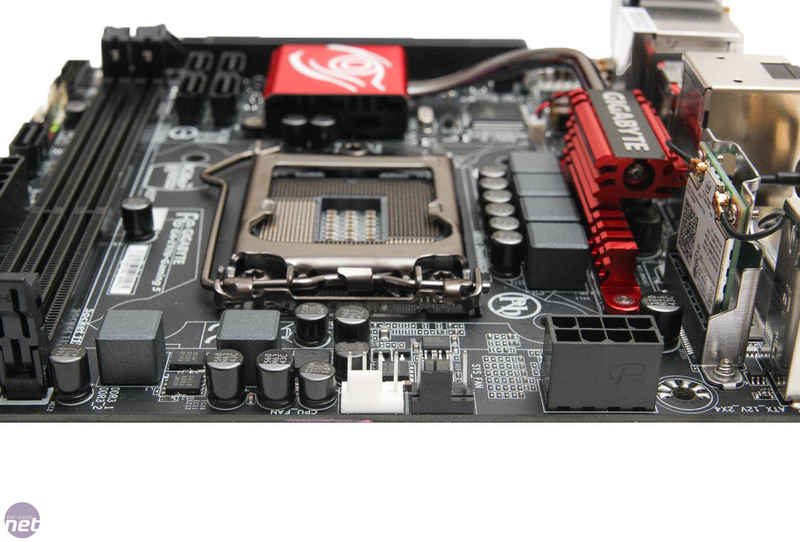 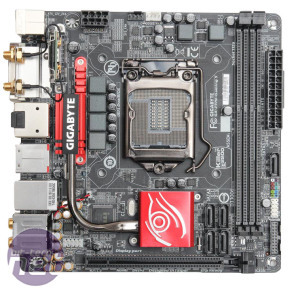 For starters, it's easily Gigabyte's best-looking mini-ITX motherboard to date, with snazzy red VRM and chipset heatsinks attached by a nickel-plated heatpipe. 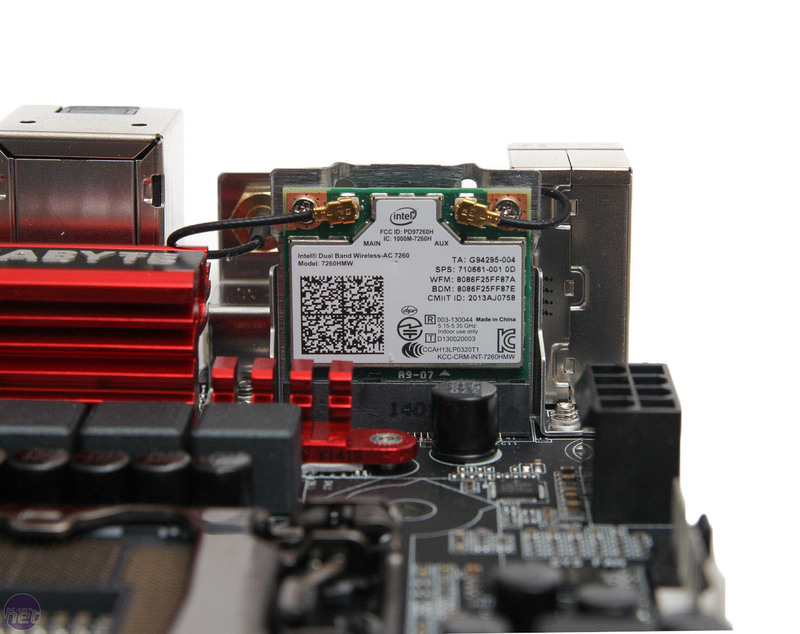 A mini PCI-E riser located above the VRM heatsink sports an Intel 7260 Dual Band 802.11ac WiFi and Bluetooth 4.0 adaptor, backed up with a desktop stand too. 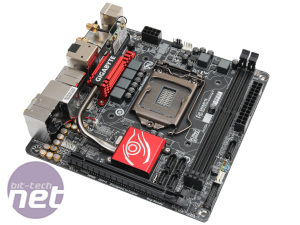 There's also a Qualcomm Atheros Killer E2201-powered Gigabit LAN port and Gigabyte has managed to squeeze an additional SATA 6Gbps port onto the PCB bringing the total to five - one more than many of its rivals - plus six power phases and black solid capacitors too. 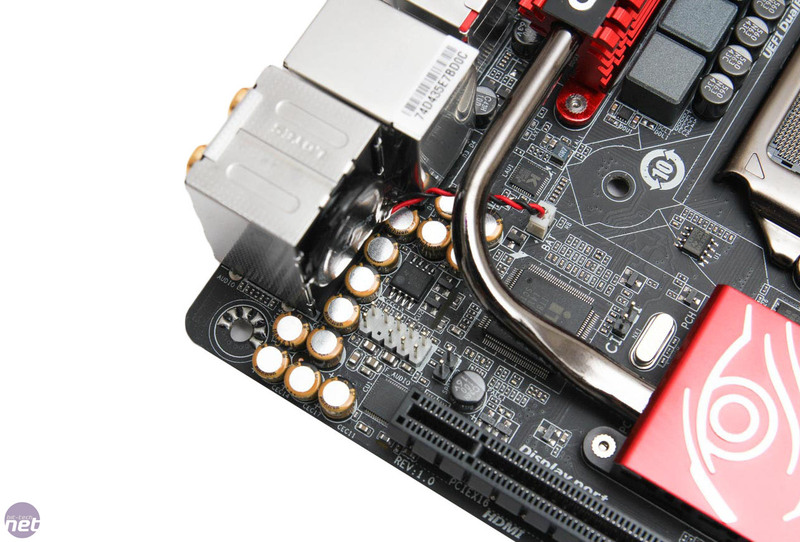 However, it's the on-board audio that we're really interested in. 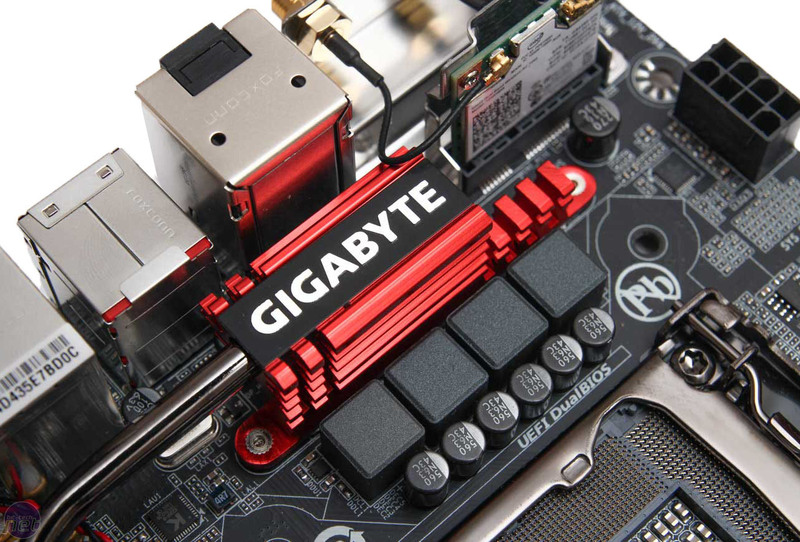 Gigabyte has opted for a fairly standard Realtek ALC1150 but has combined it with some fairly impressive credentials. 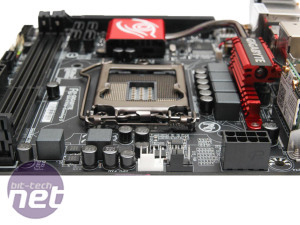 There's a claimed 115dB SNR with built-in rear audio amp, Nichicon premium audio capacitors and Audio Noise Guard - aka isolated audio circuitry with the usual backlit PCB. 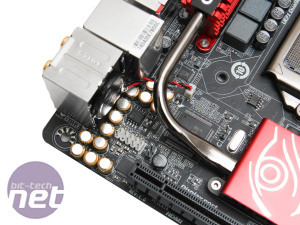 It also bundles Creative's SoundBlaster X-Fi MB3 software suit, which provides a much more premium feel to the usual Realtek bundled affair and the audio ports are gold-plated too. 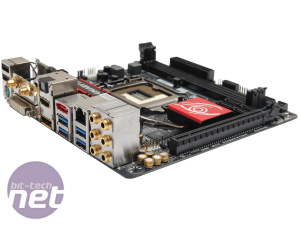 This appears to be one of the more lavish audio bundles of any Z97 mini-ITX motherboard, save for the Maximus VII Impact, so it will be interesting to see how it fares and if it's worth the extra premium. 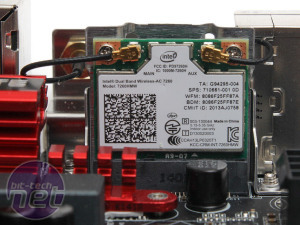 Sadly, two major omissions are an M.2 port and SATA Express. 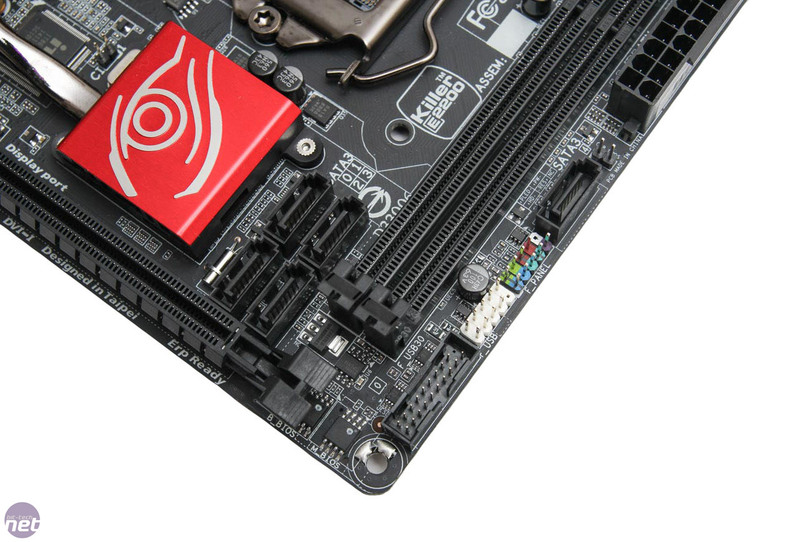 This is a bit of a let down, especially the M.2 port as SSDs that have a hefty edge over their 2.5in SATA 6Gbps counterparts are readily available. 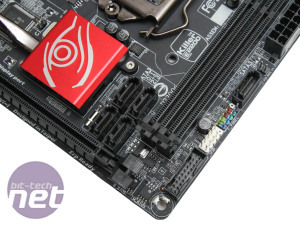 The ability to slap a 750MB/sec 500GB M.2 SSD into a mini-ITX board such as this and then have no need for discrete drives is probably something many small form factor fans have been thinking about and many of the GA-Z97N-Gaming 5's competitors offer one or the other too.